Marc Benioff has taken another swipe at Oracle this week, citing that they are "scrambling to get growth in the Cloud" after they announced an acquisition with NetSuite. Interestingly, I can't see how this will effect the actual landscape of the market, they aren't a huge hitter to really increase revenue and there is no obvious acceleration to be had on the portfolio. For once I may have to agree with Mr Benioff. What are your thoughts? 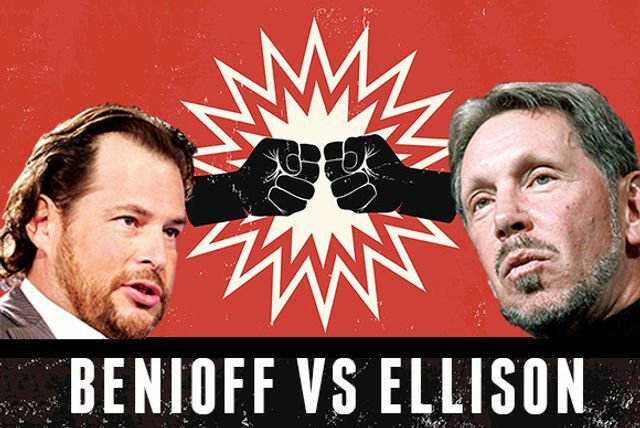 So does Oracle's NetSuite acquisition concern Benioff at all? "No," Benioff told Business Insider when asked about the deal. "Oracle's scrambling to get growth in the cloud, but it obviously has not met its goals." Benioff pointed out that Oracle was late to the game, even though the rest of the industry's been working on cloud development for the past 20 years. Oracle had about $2.9 billion in pure cloud revenue last year, less than half of Salesforce's $6.7 billion. Of course, Oracle generates an additional $35 billion from non-cloud businesses. "They're the farthest behind among all of these companies. Of course, Salesforce, Amazon, Microsoft, and Google are much farther ahead," he added.